One day while we were cycling through the Sudan, we cam across an eerie site. 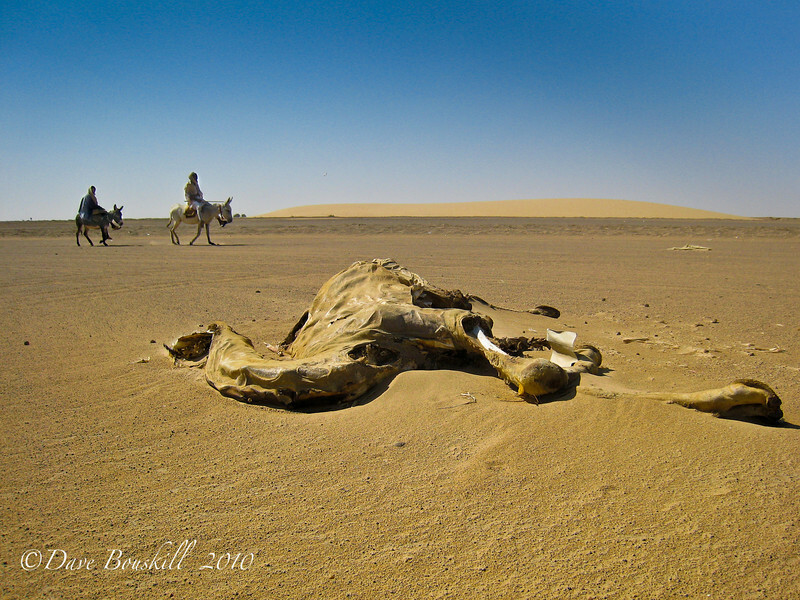 Dead camels were strewn beside the highway buried in the desert sand. Their decaying corpses littered the desert for several kms as we cycled by. We had heard that as camel caravans walk through the desert some camels are not strong enough to make it. They are left to be engulfed by the great Nubian Desert sands. Another theory that we heard was that when a camel dies in a nearby village, they are brought out to the desert and buried here. Whatever the case may be for the “Dead Camel Highway” it made for a unique and memorable moment when a man and child rode by on their donkeys without giving us a second glance.